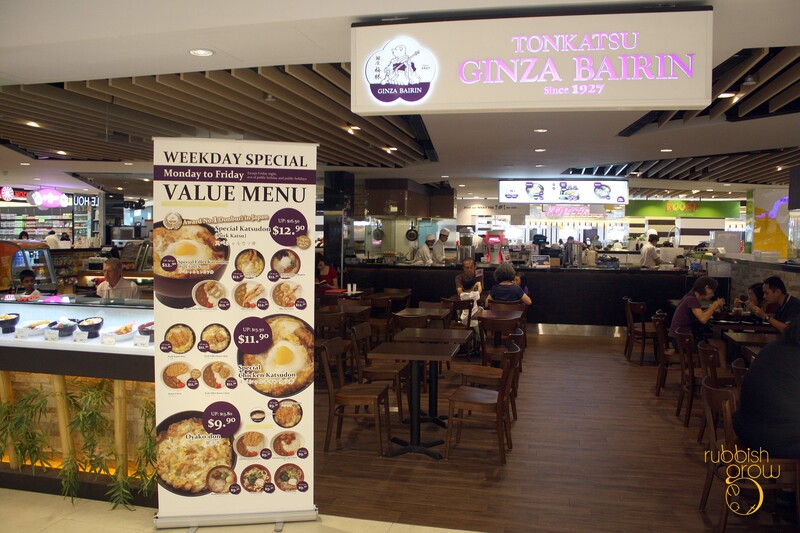 Ginza Bairin is brought into Singapore from Japan by the same company that brings in restaurants such as La Luna Rossa, Ginza Sushi Ichi and Marukin Ramen (which we’ve been but haven’t written on it yet). 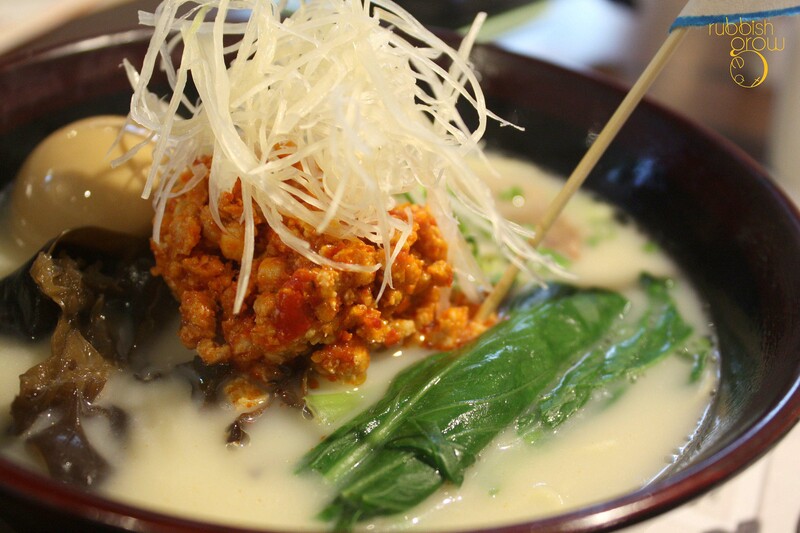 JCube houses the second outlet of Ginza Bairin, the first at Ion Orchard. At the basement, Ginza Bairin is a kiosk with seats. The food tasting is rather interesting because we ate according to the history of the 85-year-old enterprise, since 1927. Eating like this really teaches you about the historical significance of food. Following Japan Times‘s article on the rise of B-kyū gurume (translated loosely to inexpensive cooking that reflects Japanese tradition), we attempt to trace a history of Japan using Ginza Bairin’s food. But the 1932 sandwich is modernized: these days, cotton seed oil is used for deep-frying as it doesn’t contain any harmful transfat and maintains the flavor of the pork. Ginza Bairin only cooks each tonkatsu (pork cutlet) upon order. 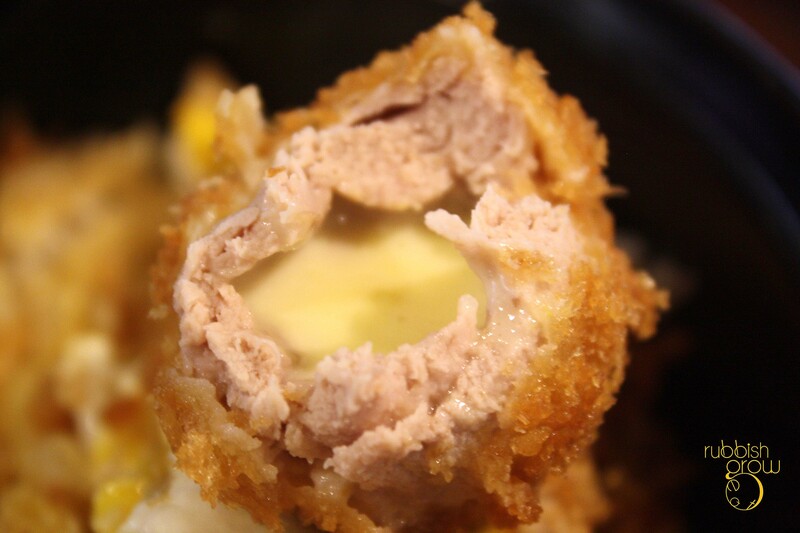 While it cannot be helped that the sauce makes the tonkatsu soggy, the sauce is unique. Made from apples, onions, fruits and vegetables, the sweet tanginess of the sauce complements the taste of pork. Among many things, three major things happen in 1950s Japan. 1. 1955 is a big year for Japan. Their political system was revolutionized, playing a huge role of how their system is today. 3. 50s saw Japan struggling out of the shadows of the war, and so the people worked hard, many in technology area. Not at all by coincidence, the rapidly modernizing country needed new “improved” food. 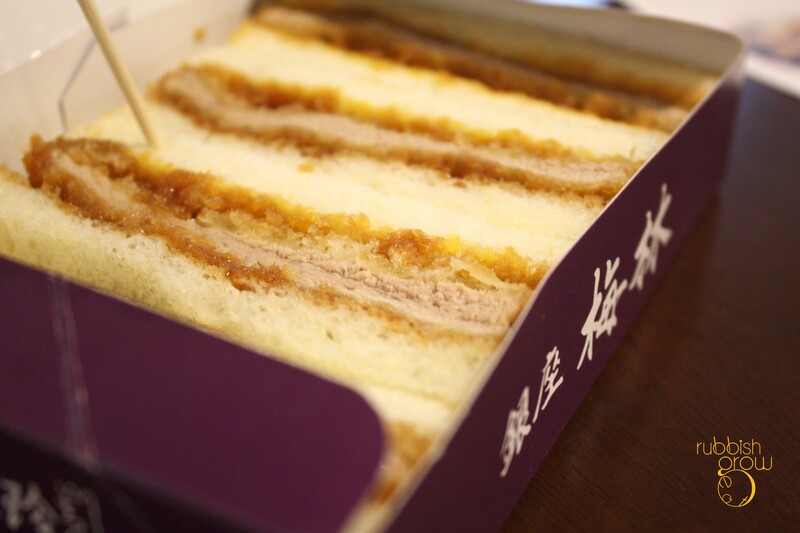 Hence, many of Ginza Bairin’s food was introduced at this period. Furthermore, what all these mean is that Japanese were looking for a fast, delicious, nutritious meal–to return to work quickly–not one of those long-drawn kaiseki or omakase meals. 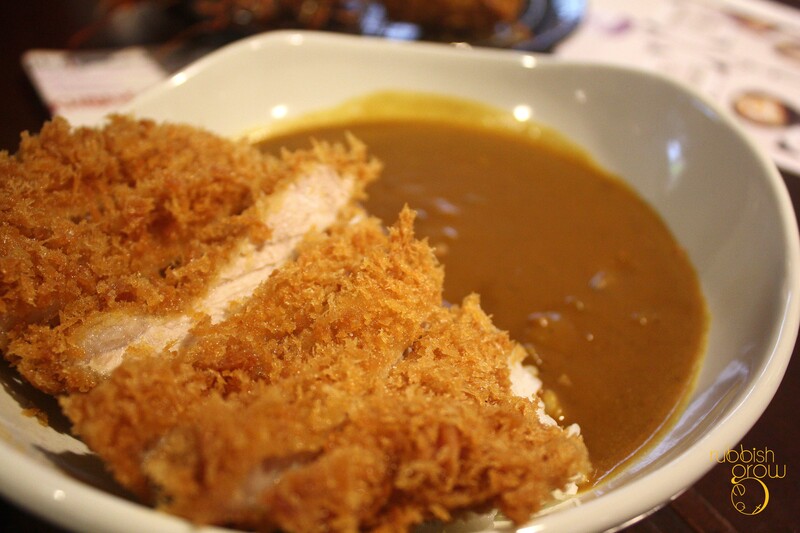 Thus enter the ebi fry curry rice ($14.80) and cheese pork curry rice ($16.10) and special katsu don ($16.50). They taste decent, and given the price, rather reasonable. The batter remains crisp even when left out to be photographed. 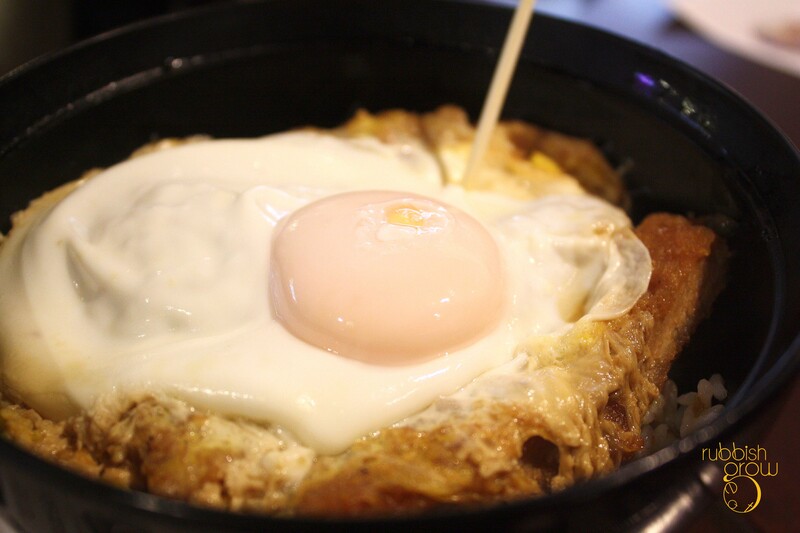 This special katsudon, a tonkatsu topped with a sunny side up, is awarded No. 1 donburi (rice bowl dish) on “Hadaka no Shonen,” a popular Japanese gourmet program. There is something very addictive about the tonkatsu. Can’t stop eating. By the 90s, Japan is of course a superpower in the world. The wealth of the country is reflected in the desire for food with better ingredients. The black pig is marbled with fats and has shorter muscles than normal pigs, making the flesh more tender and succulent. The spicy tonkatsu ramen ($15.80) is a Singapore invention! The significance of the dish is, of course, reflective of the globalized world we live in. It has mushrooms, a slice of char siew, a molten-yolked egg (very very tasty), spicy minced chicken and choy sim (please correct me if I’m wrong; I’m bad with names of vegetables). This is truly spicy. No holds barred. Not one to care for vegetables, the choy sim’s pungent-ness goes surprisingly well with the broth; the vegetable becomes a perk-me-up. The broth isn’t too rich. For a tonkatsu chain, the ramen fares well. The food at JCube is slightly cheaper than Ion. We admire that the business adjusts the cost due to the rent. All items are below $20, which is a good deal. And the food is not bad. All the dishes we tried taste decent. Can eat! PS: Thank you Athena and Chef Augustinus Wijaya for inviting and hosting us. Hello, thank you for the info. Just follow up. The PR has informed the company and asked them to reconsider the choice of oil. Today is my first visit and thank you for your recommendation !!! Had a very nice lunch!